Doon University was founded in October, 2005 in Dehradun, Uttarakhand. It is the one of the most popular universities in the state of Uttrakhand as well in India. 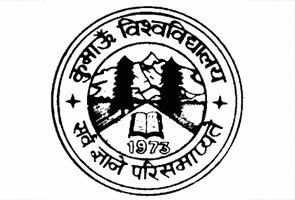 The university bill was passed by Uttarakhand Legislative Assembly and granted by the chief on 23, April, 2005. 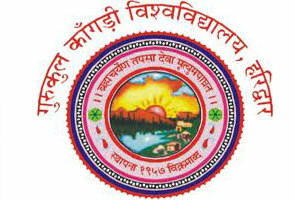 The first academic session of this University was started in 2009. The soul of Act is to make an independent and responsible institution of higher education. The establishment of the university draws its elements from massive scarcity that the state has been facing in the area of superiority in higher education. The university aims to provide higher education and to become a center of excellence in the selected areas of education. It also dreams to offer great areas of research and innovative methods of education to the youth of this area. Doon University follows the criteria of semester with two semesters in each year. Hostel: Students can avail hostel availability from the University. The hostels are well secured with 24hr electricity and water supply to provide ease of convenience for the students. The hostels are within the campus and rooms are clean and big. 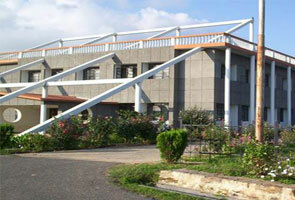 Hostel facilities are available for both girls and boys, both separate. Banking Facility: Banking facility will be available to students within the campus with ATMs. Sports & Medical facility: University encourages sports amongst students and thus provides world class facility for sports to students. Prompt medical facility Admissions in Doon University. Extra Co-Curricular Activities: University promotes student talents in fields of literature, debate, dance, sports and other activities at university level which provides challenging experience to students. • Admission of students is based solely on their performance in entrance examination Admission to all programs are through that procedure only. • Results of students with merit will be displayed on notice board of the university and students who are selected for admission will also be intimidated through other means of communications. • Students who cleared entrance examination and wants to avail admission will have to submit their relevant documents by the date prescribes in prospectus. Failing to do so may result in forfeit of their application. • Information shared by student at the time of admission should be correct and if it’s found to be incorrect at time in future, his registration will be cancelled. • There should be no criminal records against students applying for admission, if there is so admission will be cancelled. • Migration or Transfer certificate should be submitted in original, failing to do so may result in forfeiture of admission. • Students can’t take jobs while studying in Doon University as well as they cannot take up courses from any other university during their educational time at Doon University. • University recognizes certificates from all the central educational boards as well as state educational boards. University also recognizes certificates from institutes affiliated to University Grant Commission (UGC) and other of same level.